by Gospel CoalitionPeople are naturally compelled to ask questions of identity: Who am I? What am I worth? Why am I here? The answers culture offers only lead to more questions. 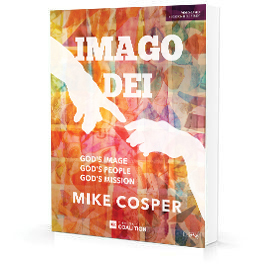 To properly answer these questions, we need to look all the way back to the beginning—to our creation—and see that all people are made in the image of God. by Brandon D. Smith with Trevin Wax, Kevin DeYoung, and Al Mohler This Bible study examines the five core truths that came from the Reformation. These five solas, like the Reformation itself, are intensely practical. They were the DNA of the Reformation and are still the DNA of the church today. We stand on the shoulders of Christians in the past, and knowing where we came from will help us keep moving forward with passion and biblical clarity. by John PiperWhat Jesus Demands is a thoughtful examination of Jesus' demands revealing a compelling yet personal portrait of Jesus Christ in the Scriptures. by D.A. CarsonPraying with Paul leads group members into the Epistles to see what Paul taught in his "school of prayer." by Jen WilkinOur inheritance through Christ is imperishable, undefiled, and unfading. In 1 Peter, a man of faith and flaws and eyewitness to the life of Christ challenges us to look beyond our current circumstances to a future inheritance. by Gloria Furman A 6-session study for women who long to see God's greater meaning and purpose for motherhood and the nurturing gifts they demonstrate daily. 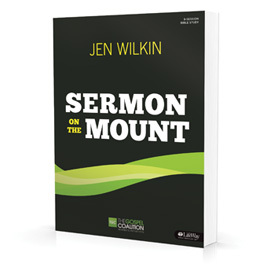 by Jen WilkinWhat does it mean to be a citizen of the kingdom of Heaven? Matthew's gospel opens with three chapters containing Jesus' longest recorded message - a sermon given to His disciples early in His ministry to articulate what the life of a Christ-follower would look like. 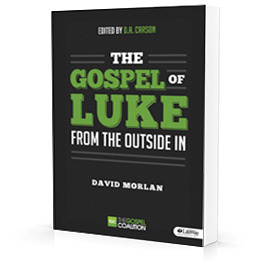 by David MorlanLuke brings the gospel of Jesus from the outside in. From start to finish he depicts Jesus as accessible to the unknowns, the outcast, the lost, and the hopeless.